as well (i.e at superior conjunction). than every 1.6 years, as assumed in the original basic model. 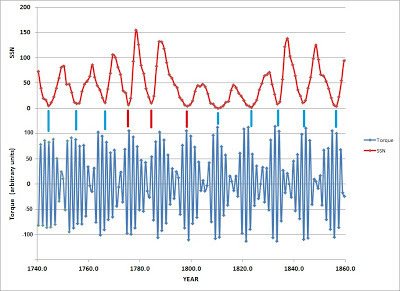 IC --> SC --> IC --> SC --> IC --> etc..
year hale (magnetic) cycle of solar activity. 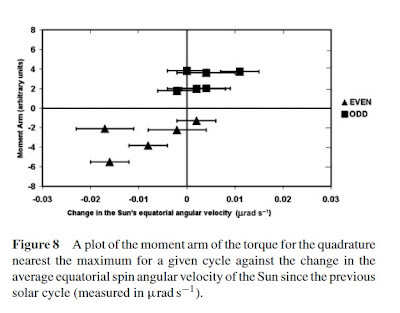 Gnevyshev−Ohl (G−O) Rule for the Sun. 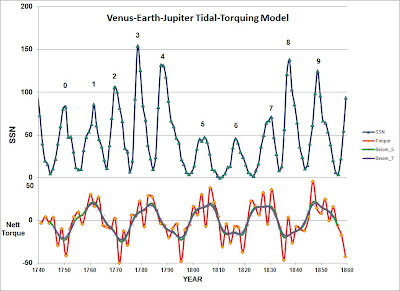 synchronize itself with the Jupiter's nett tidal torque. change in Jupiter's torque and solar minimum. 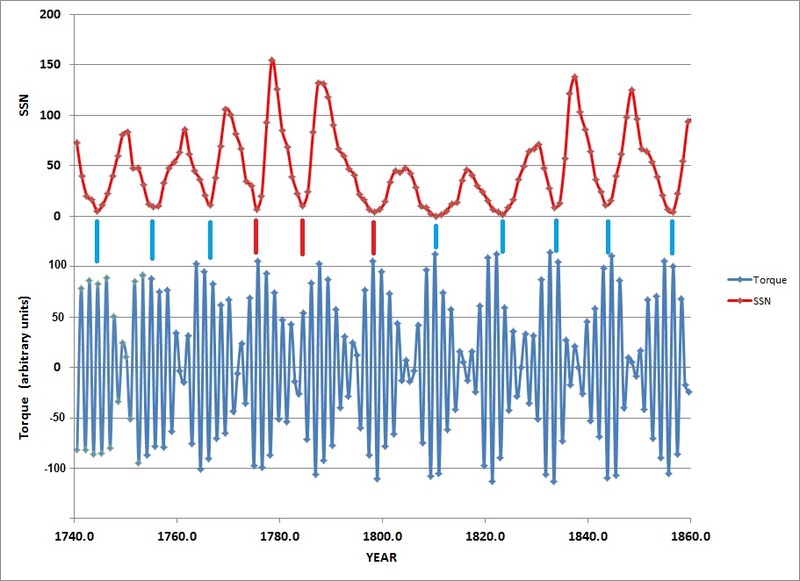 a collapse in the strength of the solar sunspot cycle. exactly cancel each other out. 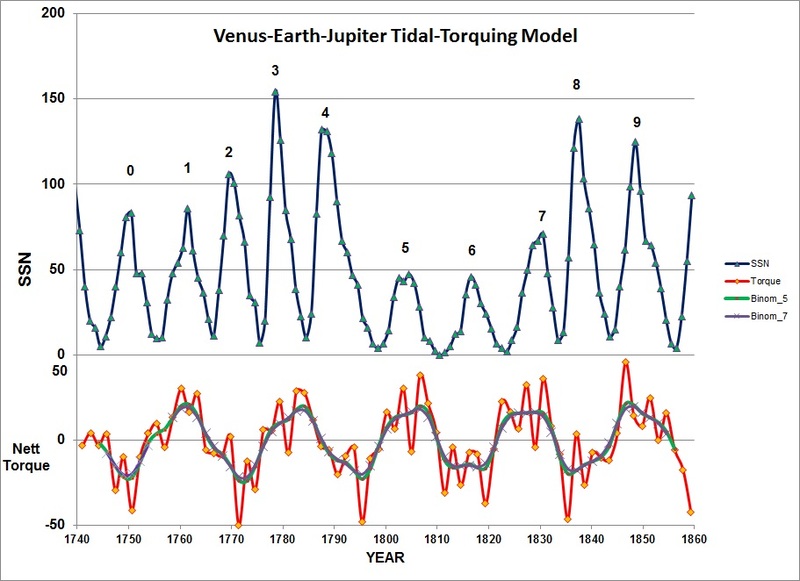 Do Periodic Peaks in the Planetary Tidal Forces Acting Upon the Sun Influence the Sunspot Cycle? 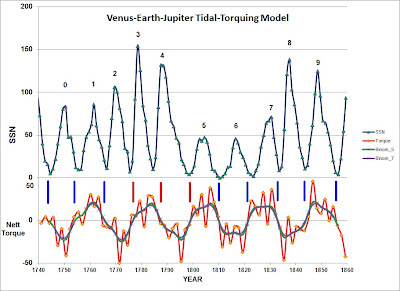 Why does the solar cycle keep re-synchronizing itself with the gravitational force of Jupiter that is tangentially pushing and pulling upon the Venus-Earth tidal bulge in the Sun's convective layer? 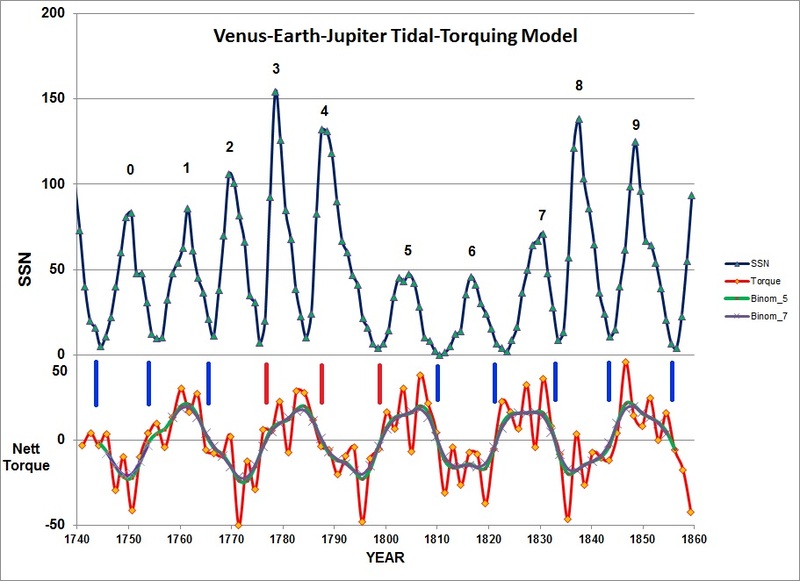 Why are the even and odd sunspot cycle maxima synchronized with the position angle of Jupiter at the time of Earth-Venus alignments?